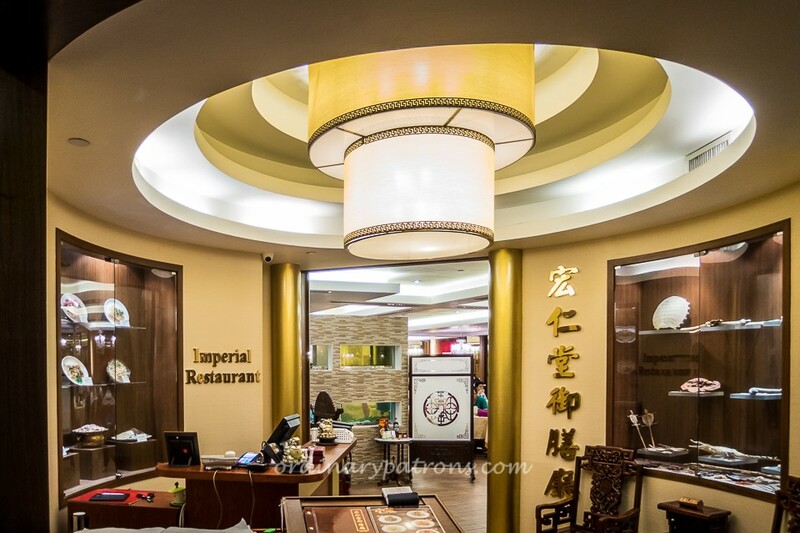 Imperial Restaurant (formerly known as Imperial Herbal Restaurant) started in the 80s and was located in Metropole Hotel in Seah Street. It was a unique restaurant then as it offered diners a health diagnosis by an in-house Traditional Chinese Medicine (TCM) physician who would then recommend herbal remedies to the diners. It was also a much talked about restaurant because of its menu which included unusual items such as scorpions and crocodile as well as organs of various animals. 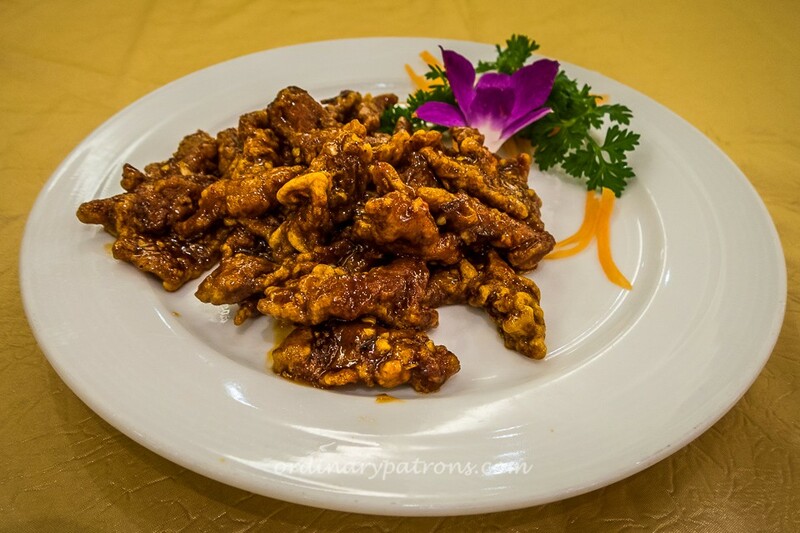 The restaurant is now in Four Points by Sheraton (formerly Riverview Hotel) and has dropped “Herbal” from its name, but you can still get healthy Chinese food founded on an old Chinese imperial cooking philosophy with an emphasis on low-sugar, less salt and reduced seasonings. After moving out of Metropole Hotel, the restaurant found homes in diverse places such as Clark Quay and Vivo City before relocating to its present premises. 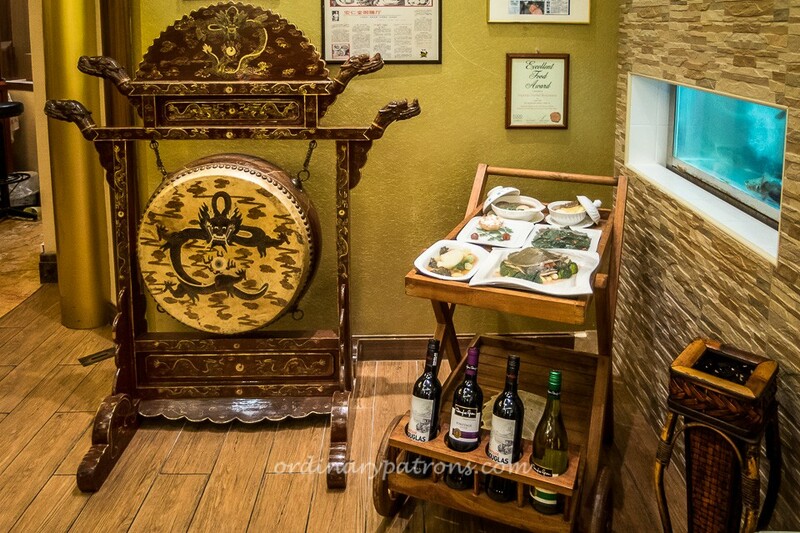 It has a fairly typical Chinese restaurant decor but there are herbs and TCM products displayed prominently at the entrance area and on the walls. A TCM cabinet, with drawers engraved with medicinal herbs and ingredients, is an accent piece for the dining area. 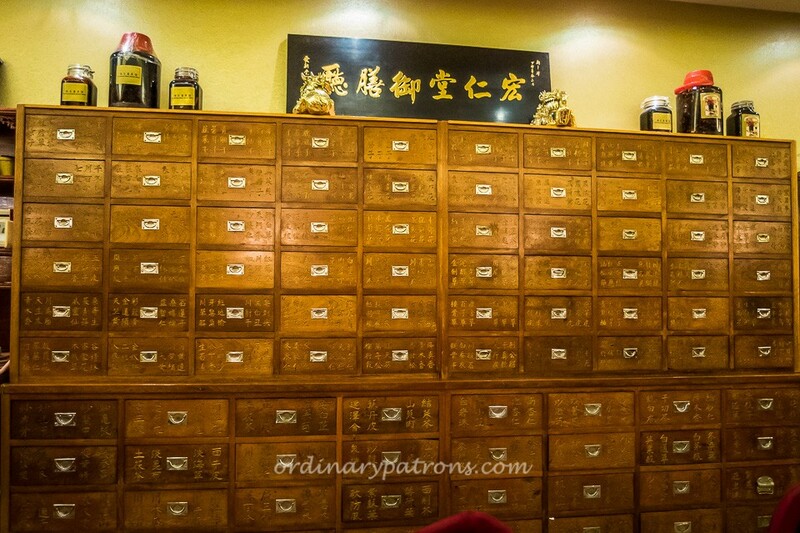 We went there for dinner and there was no TCM physician to take our pulse or offer herbal remedies. The menu does not seem to be as exciting as the one we remembered from years back. However, the current menu still has a wide range of choices and includes some uncommon dishes such as Cordyceps Seedling Tonic Soup, Braised Crocodile Tail, Deep-fried Frogs and Stewed Duck with Hawthorn & Pear. The dessert items are also very interesting. We selected, rather conservatively, a soup and two dishes to go with plain steamed rice. The American Ginseng Fish Soup ($10 per individual serving bowl) looked rather uninteresting with a few cubes of fish which we at first thought looked like pork. The soup had a strong complex flavour with a slightly bitter herbal aftertaste. Despite its unpromising look, the double-boiled fish soup was delicious and enjoyable. We also had the Braised Bean Curd ($14) and the Beef with Orange Peel ($16). The portions were quite substantial and could easily be shared by up to 4 patrons. 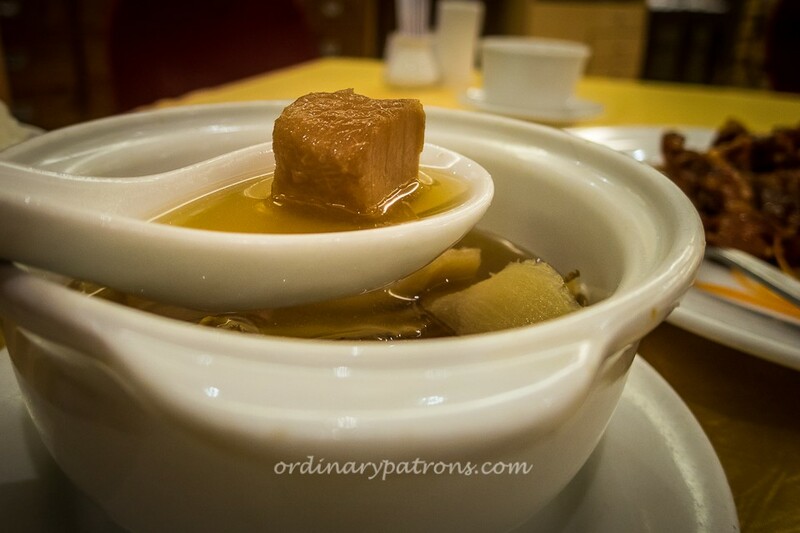 The bean curd was very well cooked with a nicely browned outer skin and velvety smooth and soft inside. The sauce had mushrooms, vegetables and strips of citrus peel which gave it a nice zesty taste. The beef did not look too impressive and seemed to be hard and crispy. It was in fact very nice and tender. The orange peel sauce was discernible but not overpowering. Both the bean curd and the beef went very well with the steamed rice. The meal was a satisfying one. Imperial Restaurant also offers simple one dish meal like Shredded Chicken Noodle Soup with Snow Vegetable and Tossed Noodle with Minced Pork Sauce (both at $8) as well as a variety of fried rice dishes. It also has a dim sum menu offering a good list of items ranging from $3.80 to $5.80 per dish. Reasonably priced set menus for balanced healthy meals are also available. If you need a nourishment boost, the secrets of herbal remedy incorporated into Imperial Restaurant’s dishes may be a real bonus. Imperial Restaurant is still the place to go to for good double-boiled herbal soups. 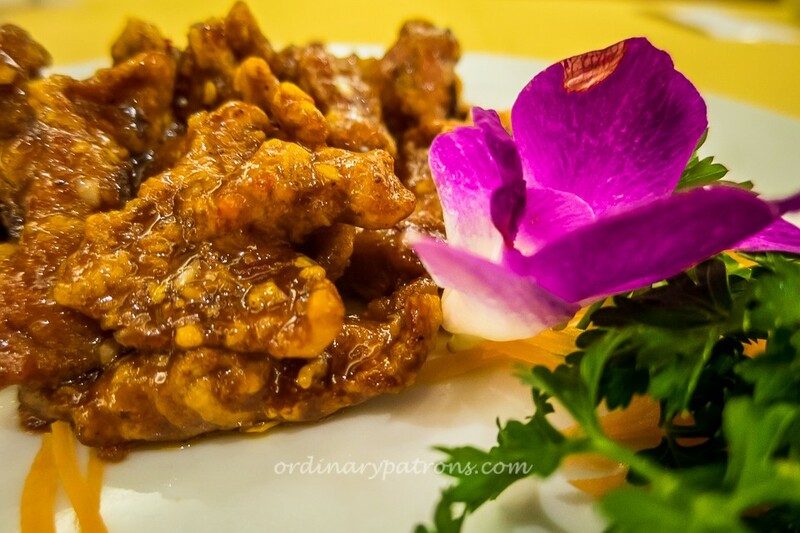 It also has something to offer to the more adventurous patrons looking for exotic dishes as well as to ordinary patrons needing a simple meal. 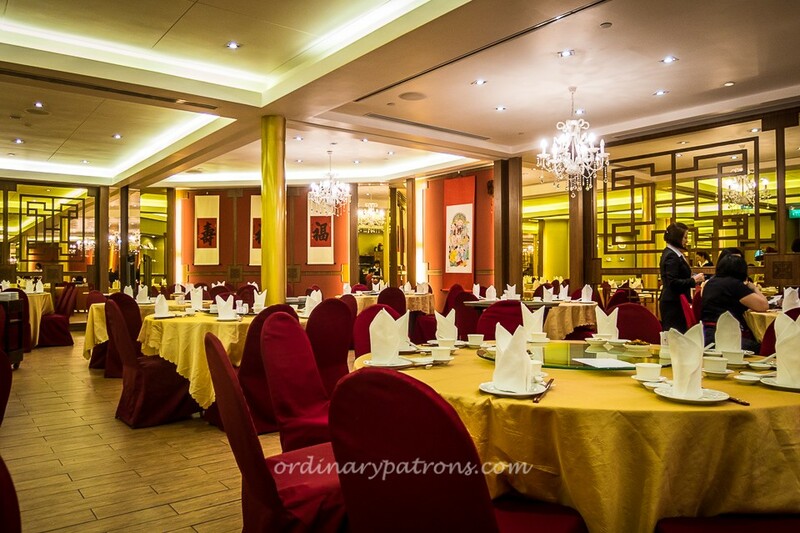 It is definitely a restaurant where you can enjoy good healthy Chinese dishes at reasonable prices.